When I read the recipe for this week’s bake-along, I was a bit worried. Caramelized Rice Krispies for the topping! And the phrase in the recipe “The sugar may smoke, but that’s fine–just keep going…” gave me pause. But everything turned out great! I didn’t start a kitchen fire and the end result was really good. These beautiful little bars begin wit h a very sticky brown sugar cookie dough that is baked. As soon as you remove it from the oven you spread the chopped chocolate over the top and return it to the turned off oven for a minute or two. Then smooth out the chocolate and add the caramelized Rice Krispie topping. I learned from my first experience with caramel that I should not stir the sugar and water excessively when heating it or I would never achieve the beautiful golden caramel state. I loved the caramelized Rice Krispies. 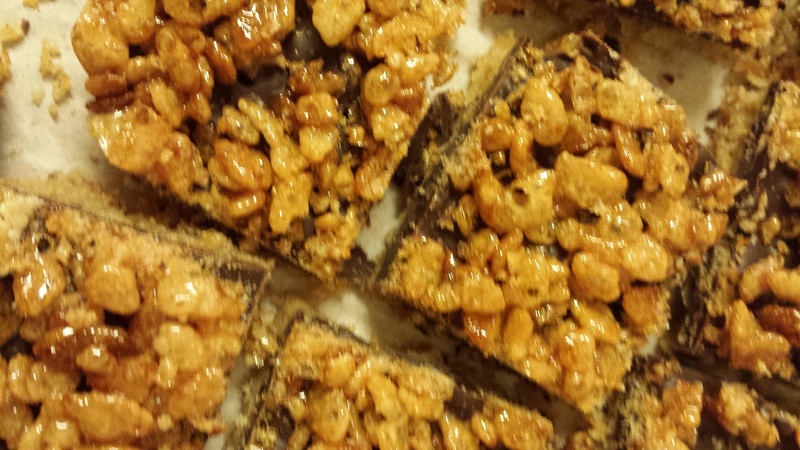 As Dorie says in the recipe, it makes double what you really need, but no worries, they are great to snack on. I think I singlehandedly “snacked” all the left over Rice Krispies. I took these bars to work as I feared I might be tempted to eat more than my share! 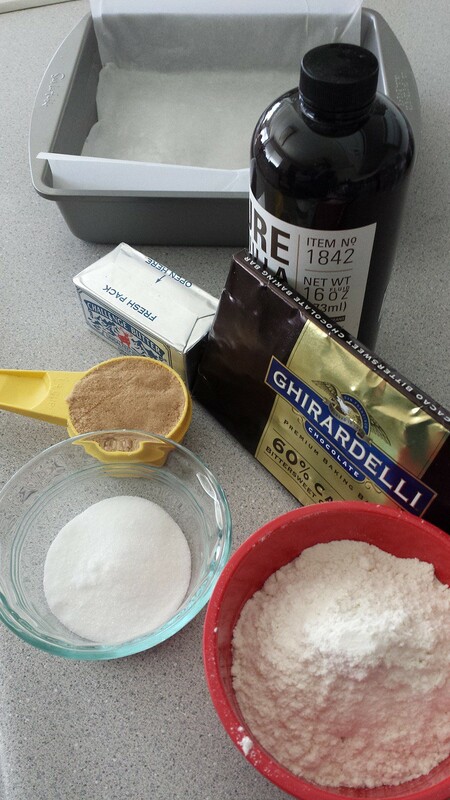 This entry was posted in Baking, Baking Chez Moi, Cookies, Tuesdays with Dorie, Uncategorized. Bookmark the permalink. I had to send them away as well! And that topping, so good.